If there’s anything in our house that’s guaranteed to be gobbled up by everyone in a snap it’s something shaped like a fry. 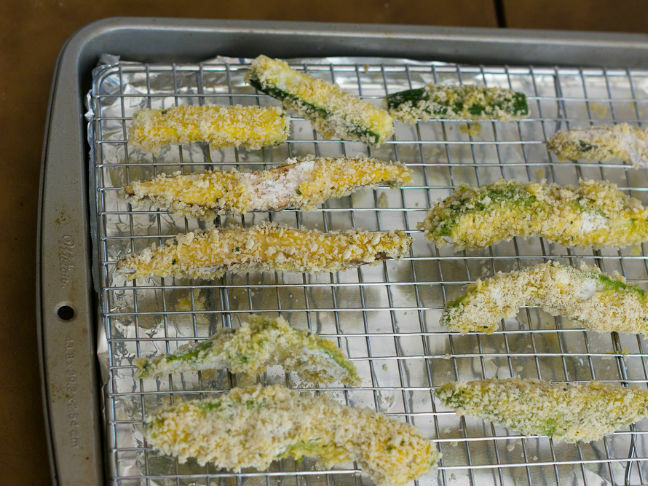 They’re dip-able and crunchable and good for snacks or alongside meals! 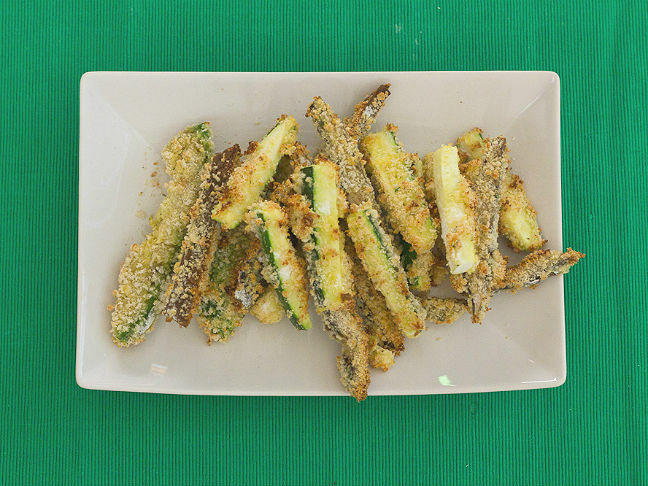 But feeding your family starches isn’t always the best choice every day of the week, so I opted to get creative and disguise our vegetables as fries and see what happened! 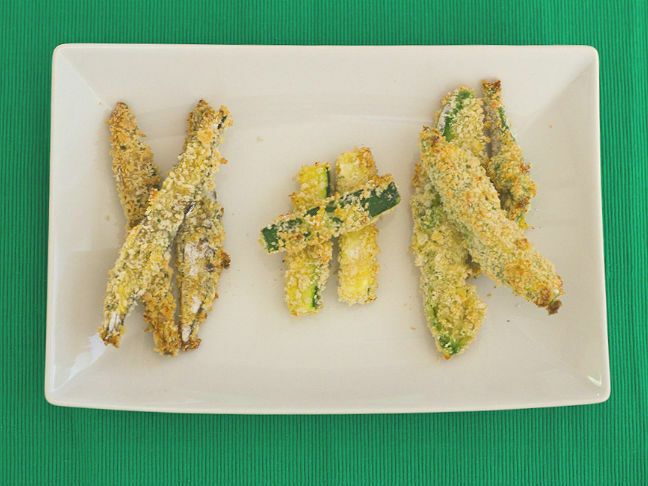 Well, when I made these crispy portabella mushroom avocado & zucchini fries for a family meal and added a bit of zesty flavor thanks to Hidden Valley® Original Ranch® Dips Mix, they were devoured in less than ten minutes. ALL OF THEM. Trust me when I say this is an easy and delicious way to start off your meal any day! Step 1: Preheat oven to 425 degrees. Place a wire rack on top of a baking sheet lined with foil. 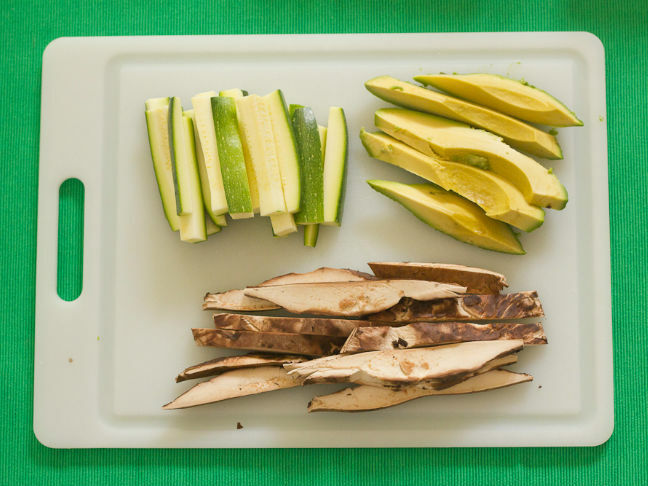 Step 2: Prepare the vegetables by cutting them into the appropriate lengths. Step 3: Pour the flour into a small bowl. 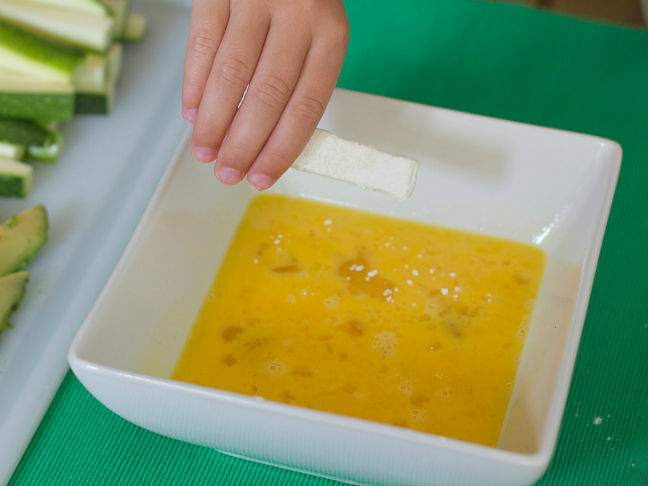 Pour the eggs into a small bowl. 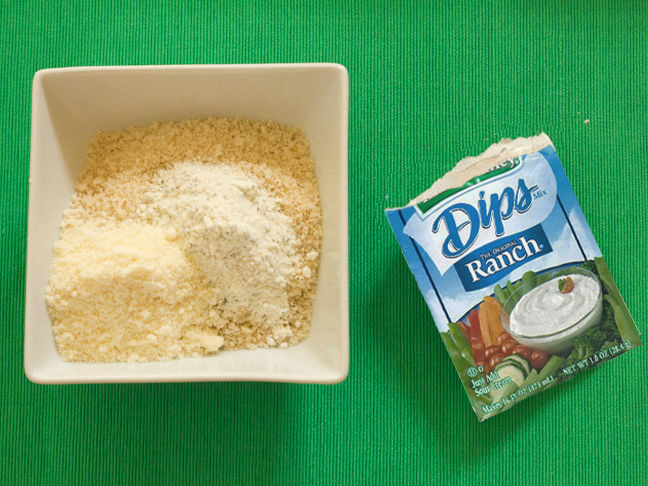 Pour the Hidden Valley® Original Ranch® Dips Mix, panko bread crumbs, and Parmesan cheese into a third bowl. 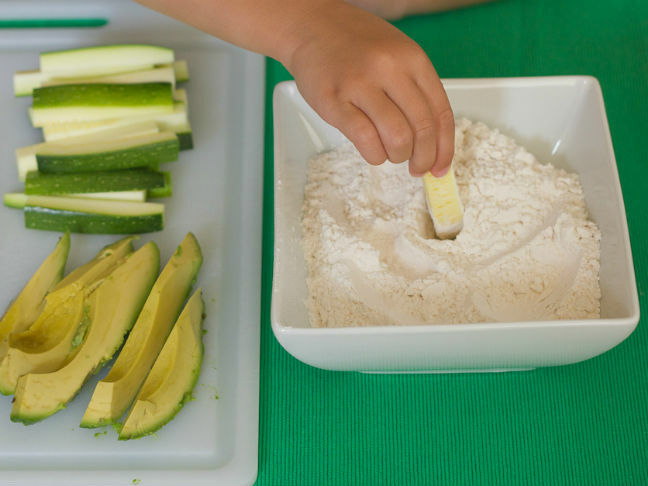 Step 4: Dredge the vegetables into the flour and shake off any excess. 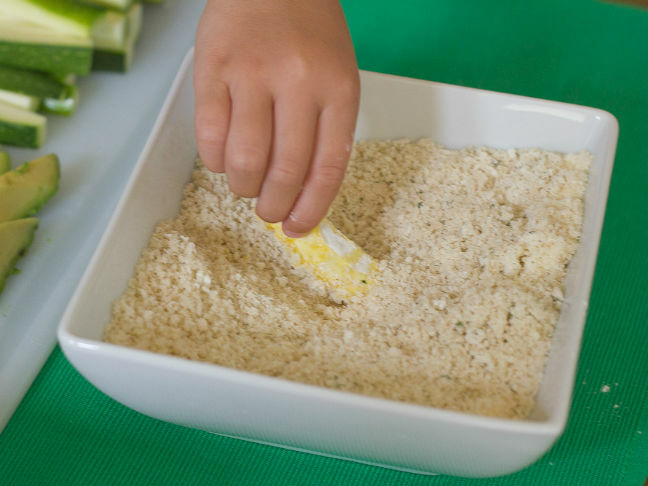 Dip the strip into the egg and then into the bread crumb mixture. Step 6: Enjoy right out of the oven! 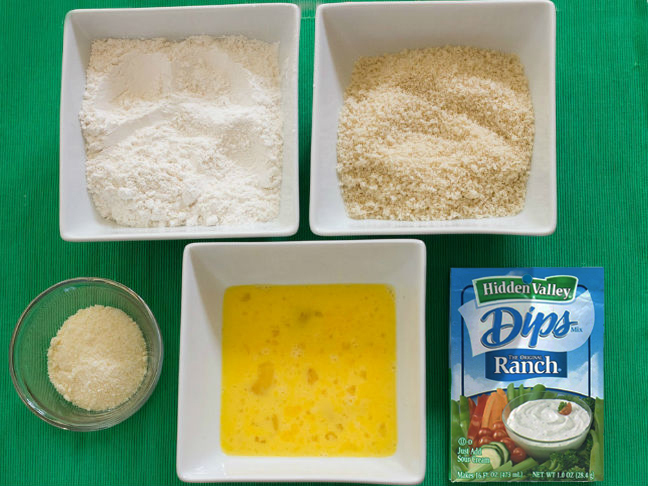 Feel free to add some additional Hidden Valley® Original Ranch® Dressing as a dipping sauce as well!